Need assistance getting a package? Need assistance with your package? The NDIS is a federally funded scheme that will provide individual funding packages for people with a disability. The NDIS is designed to help people achieve their goals. This may include greater independence, community involvement, employment and improved wellbeing. Examples of what may be funded through NDIS are therapy supports; assistive technology and equipment prescribed by therapists; and support workers to assist with community access and personal care. Eligible people are called “participants” and a planning assessment is undertaken by the National Disability Insurance Agency NDIA to identify the participant’s goals, aspirations, strengths, capacity, circumstances and context. It will also assess activity limitations and support needs created by their disability. Supports are about achieving goals and aspirations, not about the type of disability. So two people with the same disability may be assessed very differently as it is based on functional needs and what other supports are available to them. If you are currently receiving services through a Queensland Disability Services funded organisation, the NDIA will contact you when it is time for your assessment. 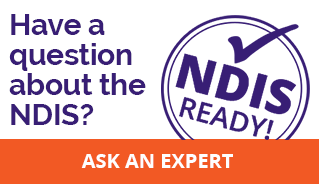 If you are not registered with Disability Services, you can apply for an assessment on the NDIS website when the NDIS is rolling out in your area. If you are already a current Montrose customer: We will assist you to plan for your assessment closer to the time that the NDIS will roll out in your area. If you are not currently a Montrose customer: There is information on the NDIS website to assist you to prepare. We can still help you with advice and information. You can apply to enter the NDIS up to six months before the scheme rolls out in your area. If you are an existing DS customer, the NDIA may contact you directly. Only people who live in areas where the NDIS is currently being provided can register. People can apply by completing an Access Request Form. Once your NDIS access is approved, the next step is to think about what your goals are and what you will need in the way of supports to achieve them. The NDIS is designed to improve choice and control but examining and understanding your situation thoroughly is vital to your own success. It’s a good idea to include those around you, such as your family, friends, and carers, to help with your decision-making and preparation. You can also talk to Montrose during this stage to get helpful hints and advice. Once your access to the NDIS is confirmed and you’ve thought about your goals, you and/or your nominee will be contacted by a representative of the NDIA to have a planning conversation. Your plan, once finalised, will provide you with individualised funding that you control and choose how to use. The conversation may happen by phone. But don’t worry, if you are not able to complete your planning conversation over the phone or are not in a position to do so, you can ask the NDIS to make alternative arrangements. (Support for those under 7 years old is likely to be managed by an Early Childhood Early Intervention [ECEI] partner). Once your first plan is finalised you will be contacted by the NDIA to discuss how to put it into action. You may get support from a Local Area Coordinator, a support coordinator or another party who will help you to connect with organisations that can assist. The NDIS provides funding for Support Coordination to help you put your NDIS plan into action and strengthen your ability to manage your own plan in the longer term. Your plan will be reviewed every 12 months. During the review stage you can analyse what worked and what didn’t and make changes where necessary.